Chicago is a haven for the arts. From art institutes to cultural centers to symphony you’ll surely have your fill. 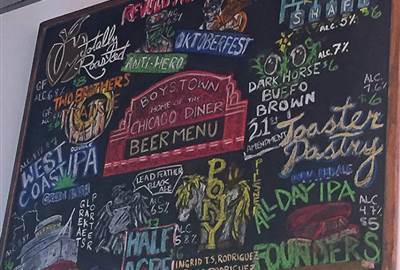 A visit to any of these will give you a different side of Chicago. 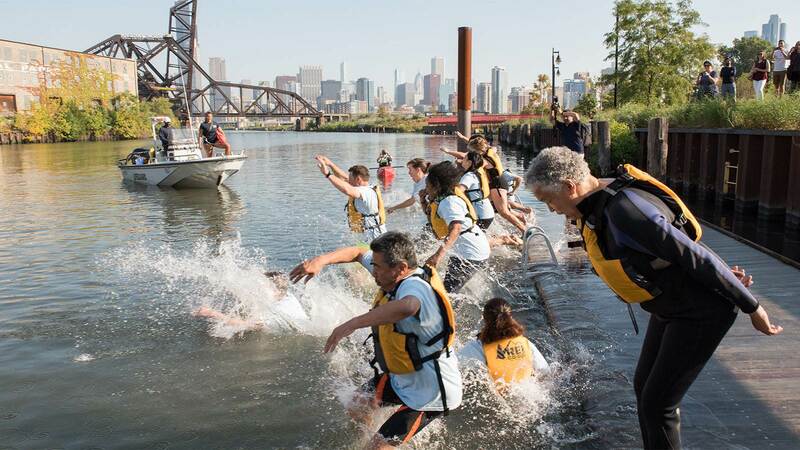 If you seek adventure and thrills Chicago has got the thing for you. 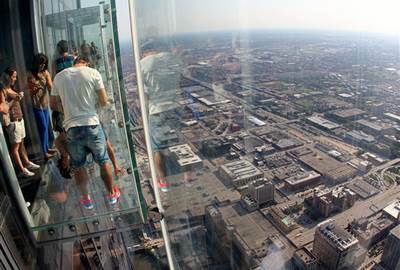 360 Chicago Observation Deck is located in the heart of the city at an astonishing 1000 feet! Next to New York, Chicago offers some of the best shows. The Chicago Theatre is notable for some famous acts. There's just so much to do and experience in Chicago. Every corner invites tourists to discover more about what the city has to offer. The place boasts the best cuisines and outdoor and indoor attractions and entertainment that cater tourists of all ages. 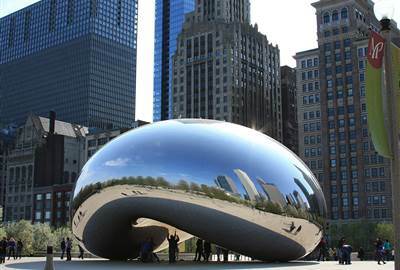 The 110-ton elliptical sculpture is made of highly polished stainless steel plates and reflects Chicago’s famous skyline and clouds above. 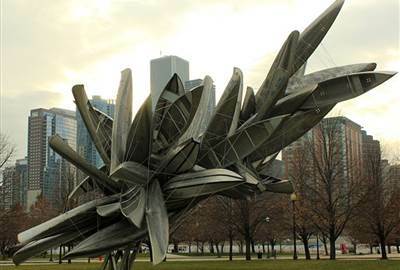 The unique piece was inspired by liquid mercury and is the largest of its kind in the world measuring at 66-feet long by 33-feet high. 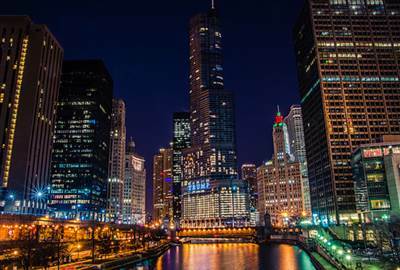 A visit to this deck that can hold up to 8 visitors at a time gives you breathtaking views of the city and Lake Michigan from over 1,000 feet above the Magnificent Mile. 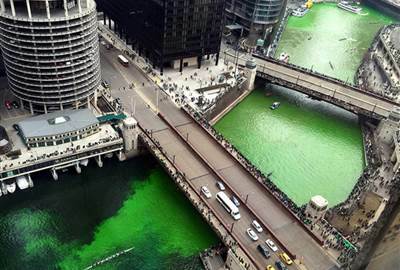 The Chicago River has been dyed green every year to celebrate St. Patrick's Day. 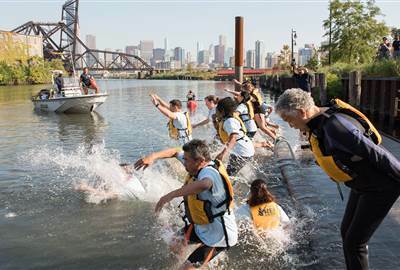 The 40 year tradition allows visitors to see the green water from Michigan Avenue in the downtown area. 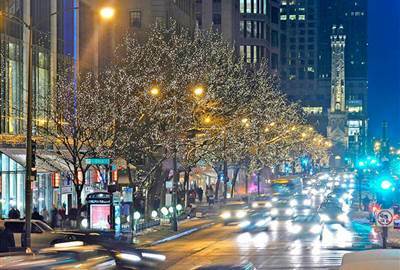 To get the ultimate Chicago experience, The Magnificent Mile is a must visit in Chicago. 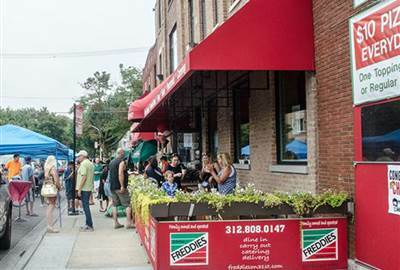 The showcase of style, flavor, entertainment and fun is a 13-block stretch of North Michigan Avenue that runs from the banks of the Chicago River to the south to Oak Street to the north. 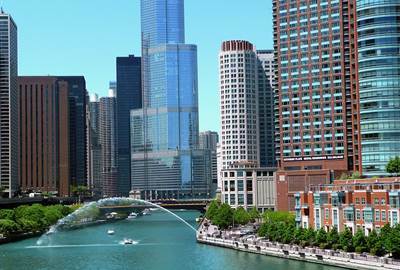 One sight not to be missed is the Chicago Riverwalk, a continuous walkway connecting the lakefront to the heart of downtown. There’s no need to take an expensive boat cruise to enjoy the sights, sounds and experiences it has to offer. SBTM is a pop-up themed shop, diner and bar, opened in 2016 and will be in Chicago unitl May, 2017. 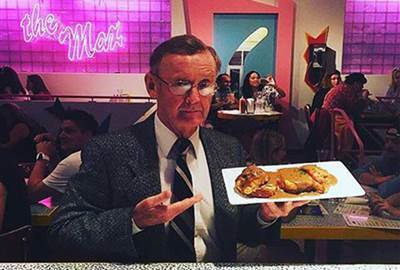 This temporary restaurant is inspired by the 90's show Saved by the Bell. It is one of Chicago’s best Italian eateries. It offers scrumptious selection of favorite Italian dishes such as pizzas, pasta and salads. 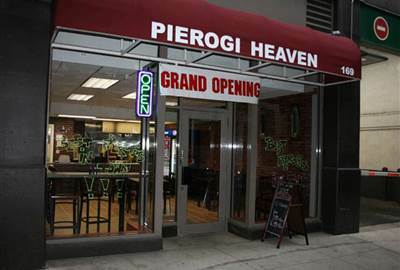 They are famous for their scratch made, signature Chicago items like Italian beef and sausage and meatballs sandwich. This is a vegetarian restaurant serving creative vegetarian and vegan food since 1980's. They are also offering gluten-free menu for appetizers, entrees, sandwiches and desserts items. The restaurant was a product of a promise a man made to a woman. It is the most famous Mexican restaurant in the city. It offers an option for a classier Mexican food experience. 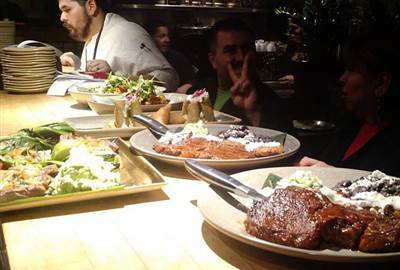 It was established in 1987 and has a high-end preparation of Mexican cuisine in a casual atmosphere. Black Dog Gelato crafts gourmet artisanal gelato and sorbet with unique flavors. 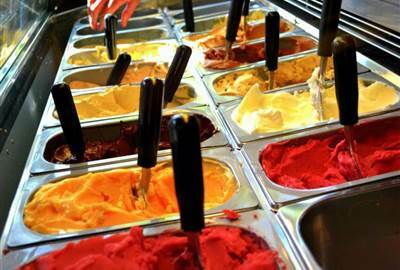 It is one of the best ice cream shops in Chicago, making fresh products daily in small batches. Hundreds of thousands of visitors come to the Chicago Cultural Center every year and is one of the most visited attractions in Chicago. The stunning landmark building is home to two largest Tiffany-stained domes. 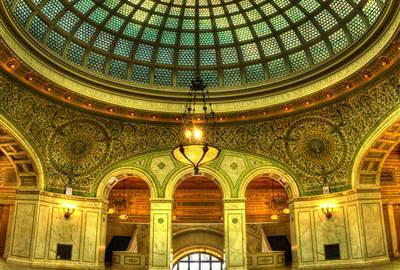 It was constructed over 100 years ago as the Chicago Public Library and a Civil War memorial.